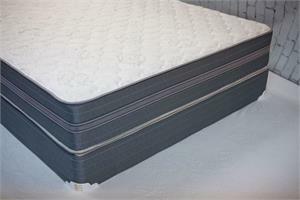 A double-sided all foam mattress comprised of super high-density foam for the ultimate support. Those of you that enjoy a great firm feel will find great enjoyment in this mattress. It uses a high density foam core with a 1.7 density super firm foam on each side. The softfeel cotton damask with the special quilt gives a bit of cushion for one of the firmest mattresses in our line-up.